When you run a business in the commercial or industrial sector, you can't afford to have electrical problems cause downtime. Time is money, and the more time you lose, the less profit your company makes. Luckily, you don't have to wait long to get your business up and running again when you make Sierra Electrical Ltd. your electricians. 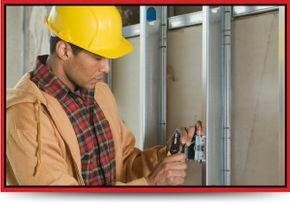 We offer electrical repairs and electrical upgrades in Edmonton for business owners and residents alike. 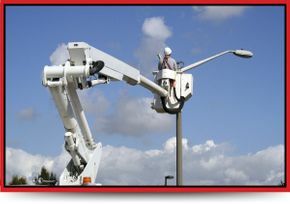 When you have a power shortage or the lights go out, you can call on us for fast and professional service. We've had over 25 years of experience working with all kinds of electrical needs, so you can count on our installations and repairs to last. Our electrical upgrades in Edmonton will keep your home or business up-to-date on all of its electrical needs. Many old buildings that haven’t been upgraded have issues with power levels. The electrical panel is what sends electricity throughout your home or business, and if your electrical panel is old you may experience problems with flickering lights, breakers tripping or other issues. Getting a new electrical panel will keep your home, business and family safe from harmful electrical problems. Upgrading your electrical panel is a great idea if you’re renovating your home, getting an addition or if you need to meet new guidelines. With electrical upgrades in Edmonton from us, you’ll be sure to meet guidelines and you’ll experience fewer electrical problems. You can depend on us for just about any electrical service from electrical upgrades to new constructions to electrical repairs. Edmonton and the surrounding areas benefit from our comprehensive services because we are efficient, we get jobs done in a timely manner and we focus heavily on customer service. Browse through our services and then give us a call to schedule a consultation. Not only is it in your own best interest to have any new wiring inspected by a licensed electrician, but in Edmonton and all of Alberta, it is the law. Having newly installed wiring inspected in your home, office or business means that you can rest assured that your renovations are up to code. It also means that there is a significantly lower chance of electric shock, fire or worse. 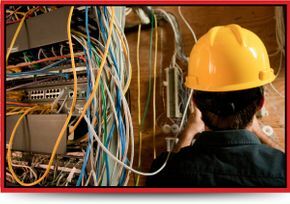 As electricians in Edmonton, the contractors at Sierra Electrical Ltd. have the experience and up-to-date training to ensure that all your new wiring, machinery installations, new constructions and emergency lighting is safe. After an electrical inspection our contractors will either approve or recommend corrections/repairs. We offer comprehensive electrical repairs in Edmonton so that your company or home is always up to code with enough electricity to function properly. Give us a call at 780-944-9400 to schedule service aerial truck services, electrical upgrades or electrical repairs in Edmonton.